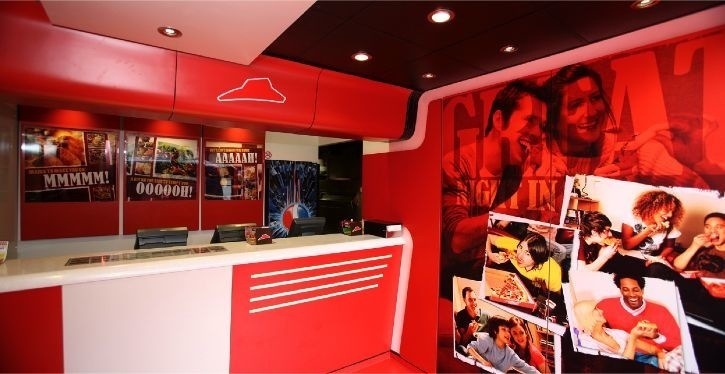 Pizza Hut Delivery has today opened its 25th outlet designed by Stuff International Design Ltd.
Stuff developed a new modular stand-alone system to enable franchisees to improve the look of their units. These also have made a positive impact on the high street, while optimising the unit's space and minimising expenditure, with the modular format ensuring very rapid installation. This modular design has appealed to many franchisees and so seen the designs rolled out across the UK – with today's announcement of the opening of its 25th unit. Franchisees have found that with the new concept, sales have improved, in spite of the difficult economic environment.